Were you diagnosed with Cerebral Amyloid Angiopathy (CAA)? We are a phone call or email away! Dr. Zonder has a lead role in Multiple Myeloma research at Karmanos Cancer Institute (http://www.karmanos.org/) , one of only 39 NCI Comprehensive Cancer Centers in the country. Dr. Zonder has had a specific interest in amyloidosis, multiple myeloma and closely related diseases since he was in Medical School at Wayne State University. He is a member of several professional societies including ASH, ASCO, International Amyloidois society and SWOG. Dr. Zonder's primary research interest is investigating new drug applications for malignant plasma cell disorders. Upcoming Event: Karmanos Myeloma and Amyloidosis Patient Day - free to all patients and their families regardless of where they currently receive their cancer therapy, this program will offer patient-friendly informational seminars addressing a variety of topics, good food, free massage, and information from local and national vendors, foundations, and support groups. Date: October 16th, 2010. If interested, please register at: https://www.karmanos.org/myelomaregistration. This is the second patient day symposium that Karmanos is organizing at the Palace of Auburn Hills. The first time, this event attracted about 250 participants. 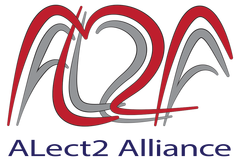 We invite our pharmaceutical liaisons to our support group meetings to help in our goal of educating and empowering our patients. 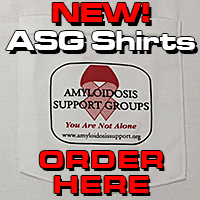 The donations and/or grant received from these companies are unconditional, and the ASG does not endorse any one of their products over any other types of amyloidosis treatment. These treatments are mentioned at our meetings, on our website, and other electronic format for educational purposes. We encourage you to consult your amyloidosis professional when choosing a treatment plan.